I used to think air conditioners were made for rich people, class A families, offices and small businesses. Mr. Philipp Trapaga of Midea Philippines was right when he said during the event, "today people consider AC a necessity, not a luxury". Young adults invest on things that are efficient, eco-friendly, products that provides comfort they long for after a busy day at work. People would rent a small condo unit near their work place to avoid the hassle and stress commuting. When I was still single, air conditioning unit was never a necessity. Afraid that I might spend too much on electric bill, I'm fine with the electric fan. And as long as there's continuous water supply, I can just go to the bathroom and take a shower. In 2013, the first home appliance we bought was an air-conditioner. 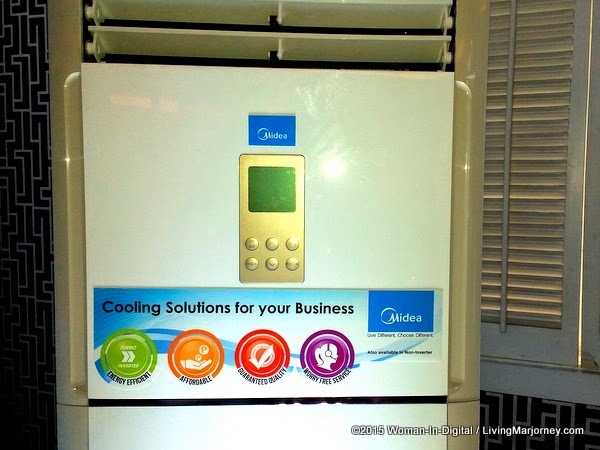 At a recent blogger event, we were introduced to some of Midea Cooling products. Very timely event since we're experiencing extreme hot temperature rising up to 41 degrees in Metro Manila. Can you imagine that! Midea offers the best cooling products in the market today. Guaranteed Quality from world class appliance manufacturer. 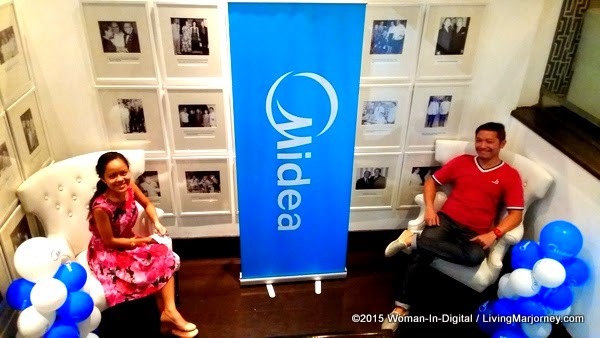 A friend told me Midea is a popular brand in China. 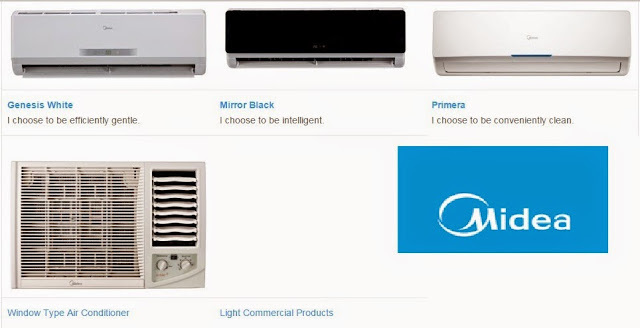 Midea promised before and after sale Worry Free Service. Turbo DC Inverter - this inverter offers a wider range if frequency and voltage making it more efficient in saving energy. It run smoothly with less noise and vibrations and after reaching ideal temperature to save energy. Midea Eco Mode - AC can automatically increase (cooling) 1 C per hour for the first two hours, then holds steady for the next 5 hours, after that it will switch off. Save energy as you sleep . Midea D-Tech - the temperature sensor is built in the remote controller. The AC will regulate the room temp based on the temperature around the remote controller, just like the AC is following the user. Midea Bio Filter - Consists of specialized biological enzymes & HEPA filter that catches and eliminates samll dust particles, bacteria, fungi and microbes. 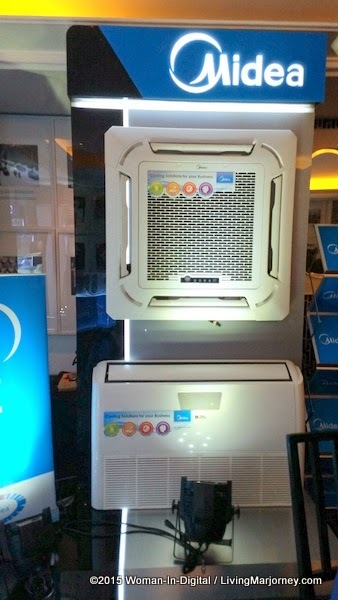 Midea Self-Clean function that can keep the inside of the indoor unit dry and prevents the breeding of molds. Small commercial establishments and industrial businesses need the same level of comfort required by homeowners but on a larger scale. 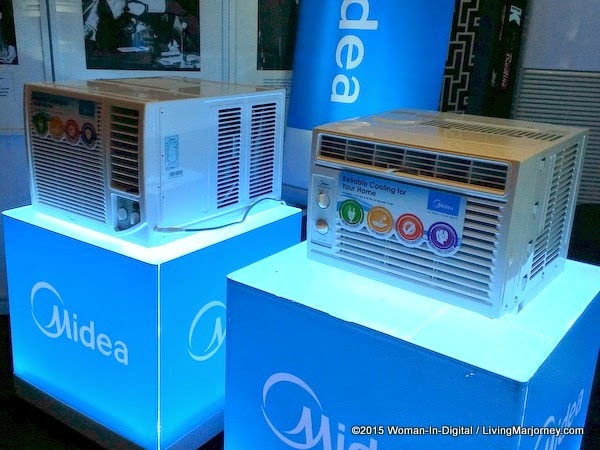 For this, Midea is rolling out three new models: Under Ceiling, Floor Mounted, Cassette. The Midea Under Ceiling offers flexible installation, as users can place it on the ceiling or mount it on the wall. To supply better airflow, it is designed with Swing Torsion Angles. This cooling unit is available in fixed speed and inverter versions to meet a wider budget range. Similarly, the Midea Floor Mounted comes in fixed speed and inverter. This air conditioner is engineered to deliver superior and efficient cooling. At the same time, its metallic accent instantly enhances interior aesthetics. Last but not the least, the Midea Cassette Inverter can be installed in the ceilings of offices or even small living rooms. It boasts 360-degree Air Outlet that enables it to deliver comfortable cooling in every corner of the room. It even comes with a Built-In Drain Pump that can lift the condensing water by up to 750mm. Midea is a well-known brand with international projects including Singapore’s Changi Airport Terminal 1 and Beijing National Aquatics Center used in the 2008 Olympics. 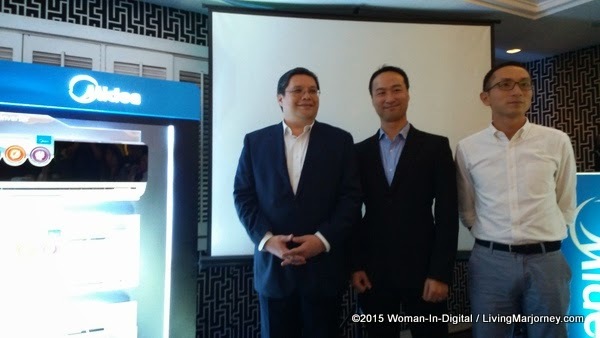 In the Philippines’ the brands cooling solutions are present in major projects like The Raven Bar in BGC. 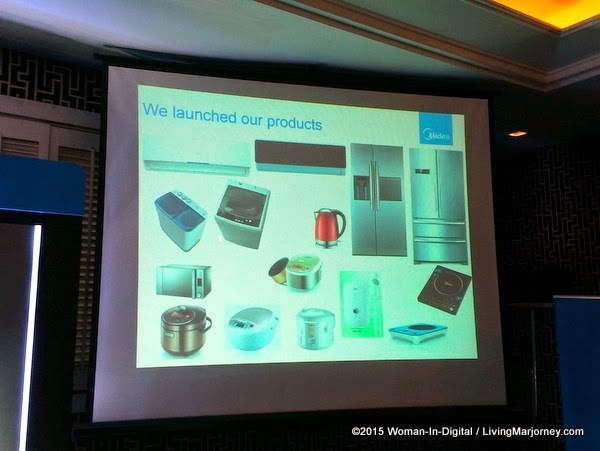 Midea is also known for a wide range of home appliances - from two door refrigerators, washing machines, induction cooker, electric kettle, rice cooker and microwave oven which I use at home.